When it comes to personal style, I have always been a huge proponent of wearing vintage and pre-owned goods. Why purchase something off-the-rack when you can turn a shopping trip into a treasure hunt—one with an environmentally friendly lean? And no need to talk about sweatshops (hey, do you really think that $5 sweater comes off scot-free?) Plus, I love a good story, so why not don threads that have already seen a thing or two? 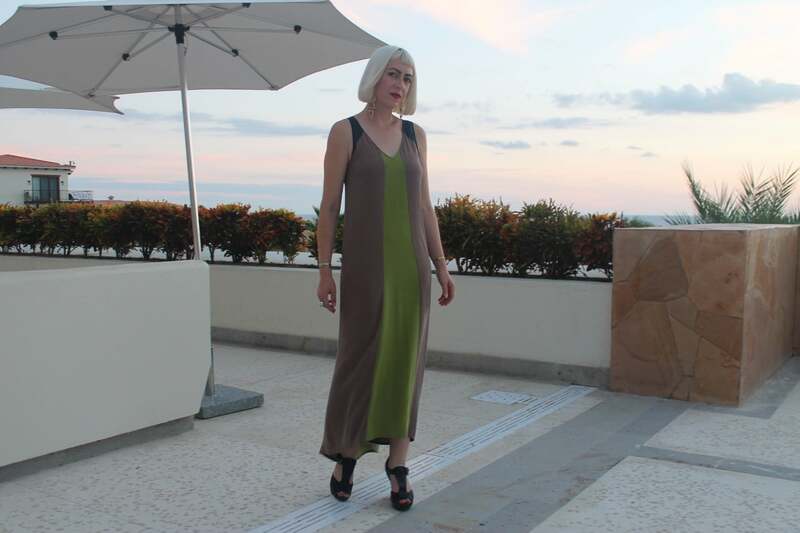 For my Cabo jaunt I packed some of my favourite vintage pieces for daytime, as well as finds from Toronto’s own Rewind Couture for the more glamorous evening affairs. Cabo is blessed with perfect weather almost all year round. So when packing for daytime it’s best to wear something that can translate well into different settings, taking you from zip lining at Wild Canyon to fine dining at Acre. 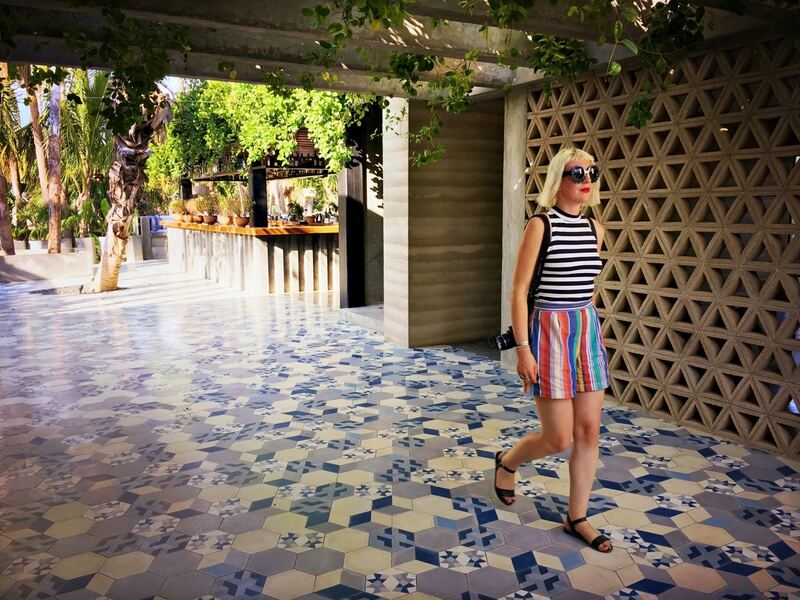 Shorts are a must in the heat and pairing vertical with horizontal stripes will ensure that you look put together—even if you’ve just emerged from an dusty ATV ride in the desert. Wear with gigantic Slime Time sunnies from T.O. 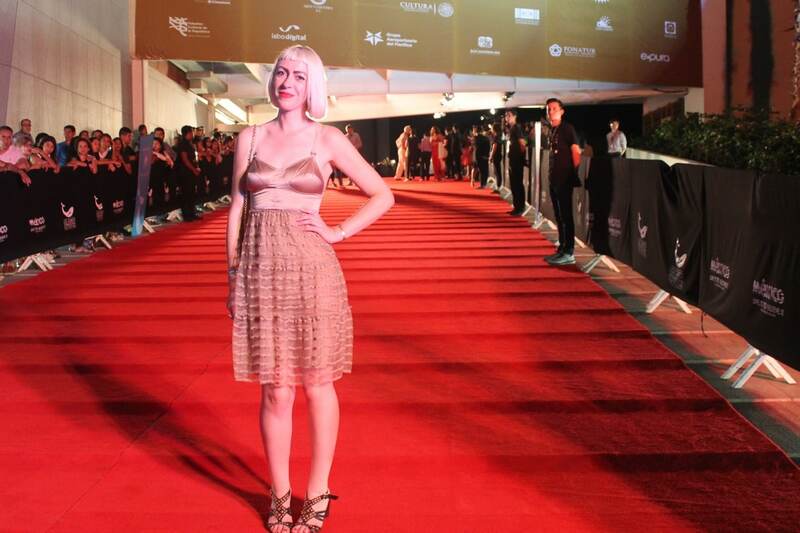 designer Hayley Elsaesser. Sunglasses that look like they’re melting are always a hit in the hot hot heat. 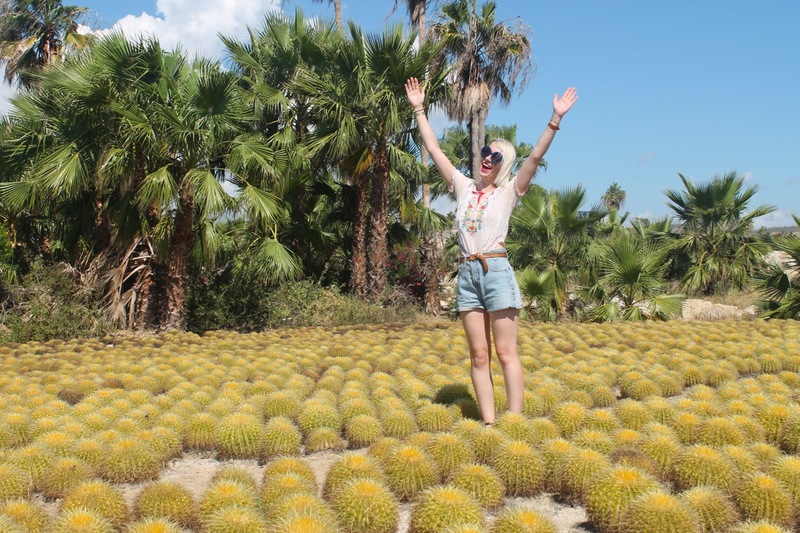 Wirikuta is a cactus lover’s dream, with over 1,500 varieties of desert plants ready to be ogled. Rent a bike and pedal through the gardens and the subsequent sculpture gardens—a new addition to the nabe. I went for a casual ’70s vibe, pairing a vintage Hungarian blouse embroidered with flowers with a pair of jean shorts (aka jorts, obviously the preferred term). The blouse was a great find from the biannual Toronto Vintage Clothing Show and the shorts a result of a trip to Toronto’s Kensington Market. Rewind Couture is one of my go-tos when it comes to finding incredible designer pieces. Owner Dawn Librach has a super keen eye and when paired with her amazing prices, it can be pretty hard to resist. In order to take in a Natalia Lafourcade concert, I paired a Moschino Cheap and Chic top dotted with tiny white flowers with a pair of my own vintage palazzo pants for a casually chic outfit that was also comfortable to wear while seated. Colour blocking is a great way to make a graphic statement with very little effort involved. I wore a silk dress by Haute Hippie from Rewind for evening drinks at Secrets, donning rather large Celine-esque earrings to echo the concept. The relaxed A-line shape of the dress was ideal for lounging in after a busy day. Underwear as outerwear is a big trend right so I opted to wear a Philosophy di Lorenzo Serafini number found at Rewind. Featuring a skirt fit with tiers of tulle and a lingerie-like top, the result is a dress that straddles the line between seductive and sweet. Perfect for a red carpet, no? What better time to be sheathed in gold sequins than when framed by a sunset in Cabo? 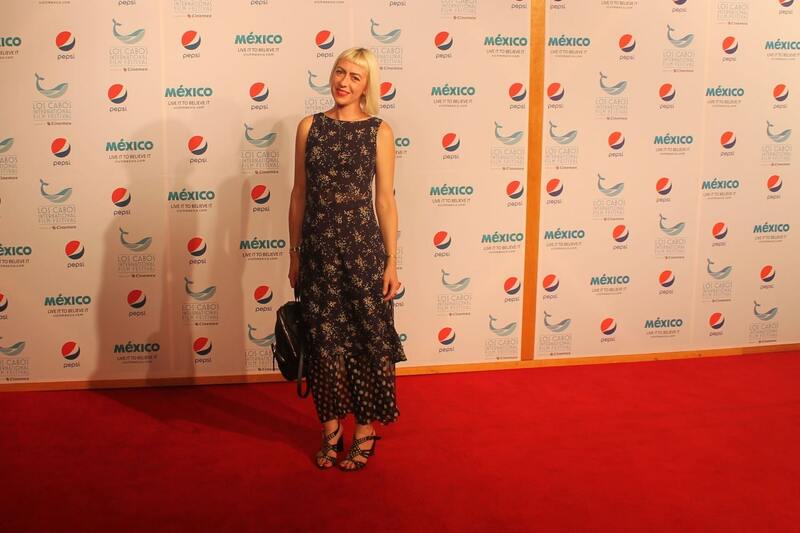 I donned a vintage frock with a latticed sequin overlay also from Rewind for the occasion, which also segued nicely into the film festival’s closing party.